School break, and Thanksgiving, warmth in the storm, food, friends, family, sleepovers, The Nutcracker, a birthday, play and bouncing, and laughter... oh, it's been a wonderful week! I love Mister Foo's mellow and reflective posture... such a cool cat, even as we scramble to return to "normal." Back to school, back to the office, back to... no, wait, more fun awaits! It's December! Shake a leg, Washburn Foo, we've got halls to deck, cookies to bake, and parties to plan! Thanksgiving parts one and two and three. Thanksgiving: Return of the Turkey! 2. 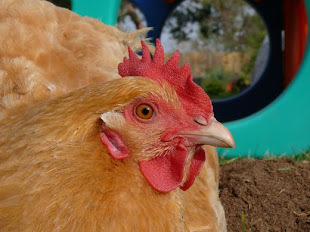 It's a good thing our hens are so good looking, because, so far, they're no good for laying eggs! 3. A birthday party with friends and family who bounce in and join the fun... Maria is still bouncing for joy! 4. Bambi dancing in the Nutcracker. Her strength, beauty, and grace are breathtaking. 5. Geoff repaired our guest room shower-water spout. Small change... Huge difference! I need a moment to recover from so much fun, and there's so much fun ahead! How are you holding up? What's good? 1. My garden looks like Whole Foods. 2. The princes are happy and healthy. 3. I'm sure I'll find the Elf disc soon; it's not in its clamshell. 4. Plans are gelling for the big holiday on the 25th. 5. Cousin Barb arrives next week! You and me... we need to make plans. It's time for Christmas movies, tamale making, gingerbread houses, and on and on! I want to see Whole Foods in your backyard! 1. That happy after party glow that lasts into the new week. 2. A girl who happily gives her shoulder to a friend who banged her shin and helped her walk home.